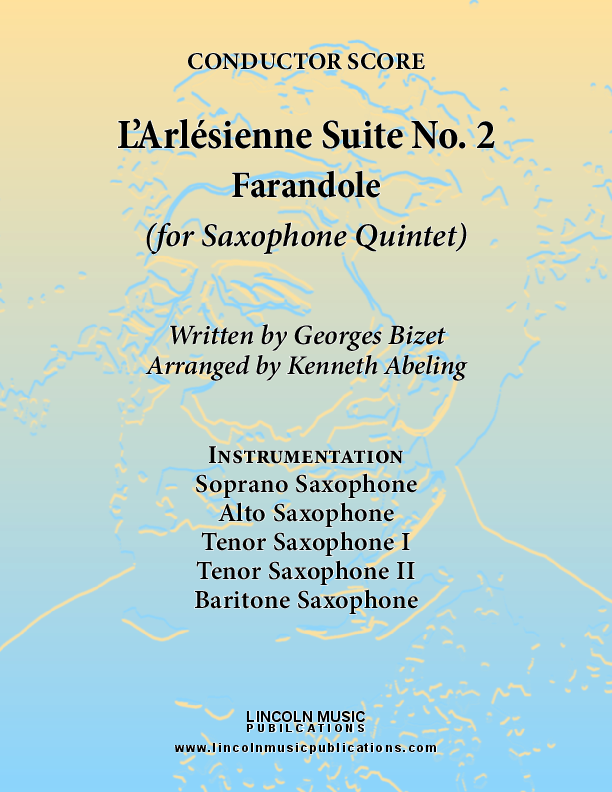 Narrative: This is the Farandole from the Georges Bizet's famed L'Arlesienne Suite No. II transcribed here for Saxophone Quintet. It is an advanced intermediate to advanced transcription suitable for general performance as well as Christmas events and most audiences will readily recognize the two prominent themes from this movement.